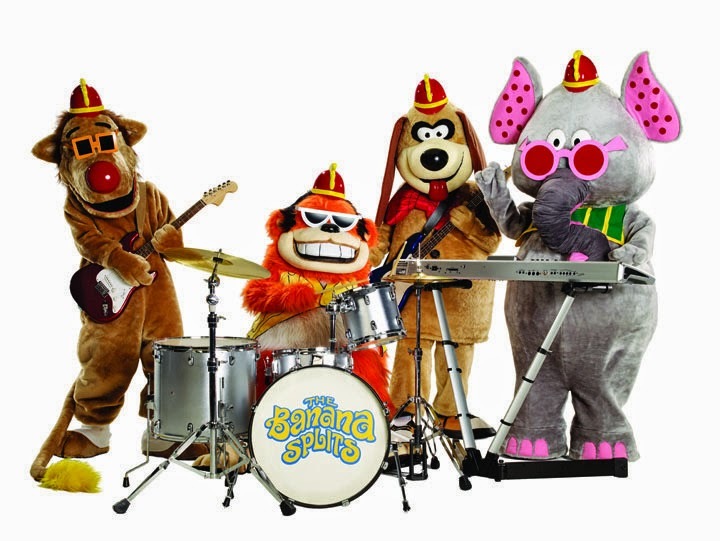 When the BBC first broadcast The Banana Splits it was allocated the Friday teatime slot around 5pm. 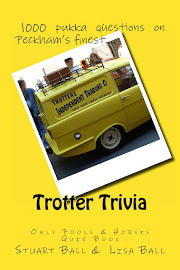 In 1971 it was moved to Saturday lunchtime just before Grandstand and would also be broadcast in the week during school holidays. As 1980 arrived, The Banana Splits was repeated early on a Saturday morning and it is these showings of which I have the fondest memory. Saturday mornings on the BBC really were special back then. The Banana Splits would be followed by either Champion the Wonder Horse, Zorro or the French adventure serial The Flashing Blade. Wonderful times. 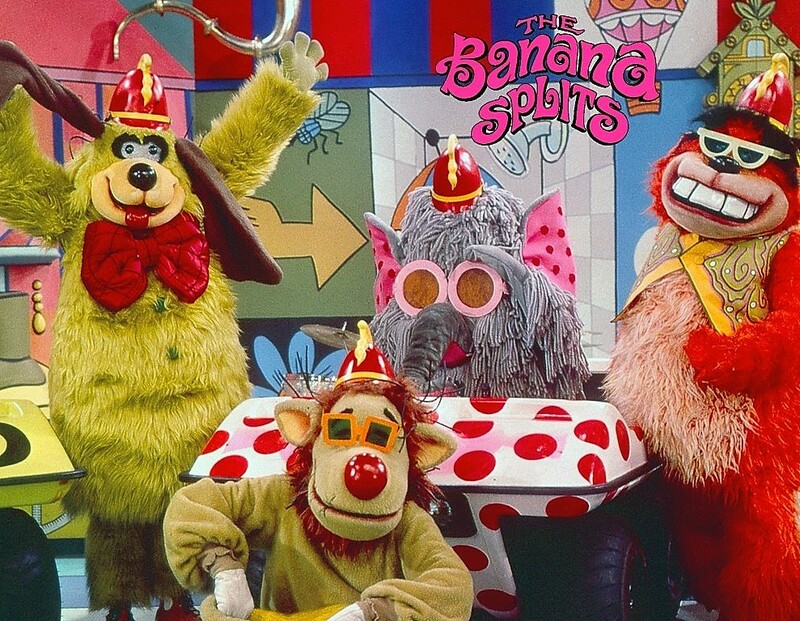 I remember coming downstairs early each Saturday morning, still clad in my pyjamas, in order to watch the latest adventures of Bingo, Fleagle, Drooper and Snorky, who made up the Banana Splits Band. 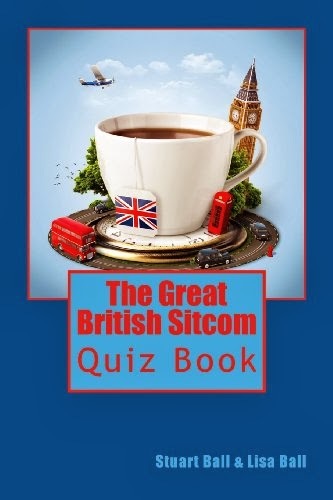 Just in case you can’t remember who was who, Bingo was the gorilla who played the drums, Fleagle was the guitar-weilding dog, Drooper the lion played bass, while keyboards were taken care of by Snorky the elephant. In the famous theme song, Snorky’s name was shortened to Snork. I have so many great memories of The Bananas Splits, perhaps more so than any other children’s show from that era; the hilarious antics of the main characters and the over the top sound effects which accompanied each slapstick moment, that legendary theme tune which you just can’t get out of your head and who could forget the regular cartoons Arabian Knights and The Three Musketeers? The show also featured a live action adventure serial called Danger Island which starred Jan-Michael Vincent. Interestingly, the director of Danger Island was Richard Donner, who would go on to direct such films as Superman, The Goonies and Lethal Weapon. Footage of the Banana Splits Band driving mini cars called Banana Buggies and enjoying various theme park rides was used for the opening and closing credits and also for mini musical segments within each show. These pieces of live footage were filmed at Six Flags Over Texas in Arlington, Texas, a theme park which remains open to this day. 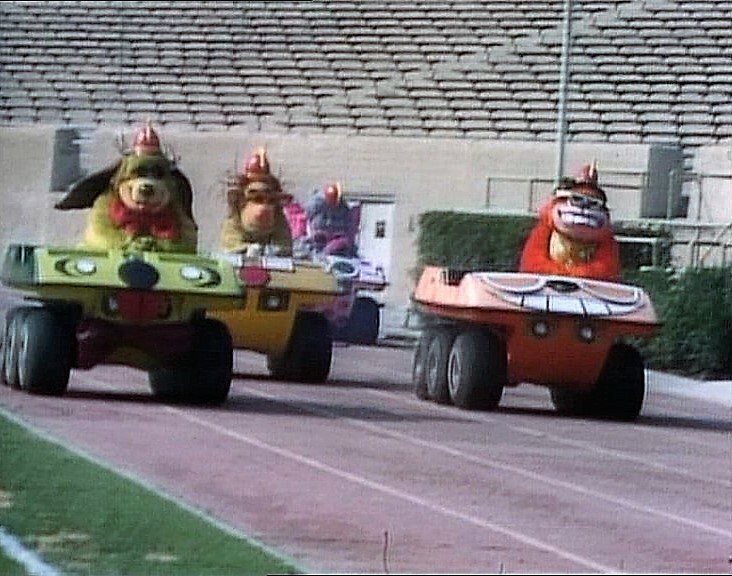 Nearly forty years after first watching The Banana Splits, it remains one of my ambitions to drive a Banana Buggy. These most fun-looking of vehicles were, in reality, customised Amphicats, six-wheel-drive amphibious all-terrain vehicles. 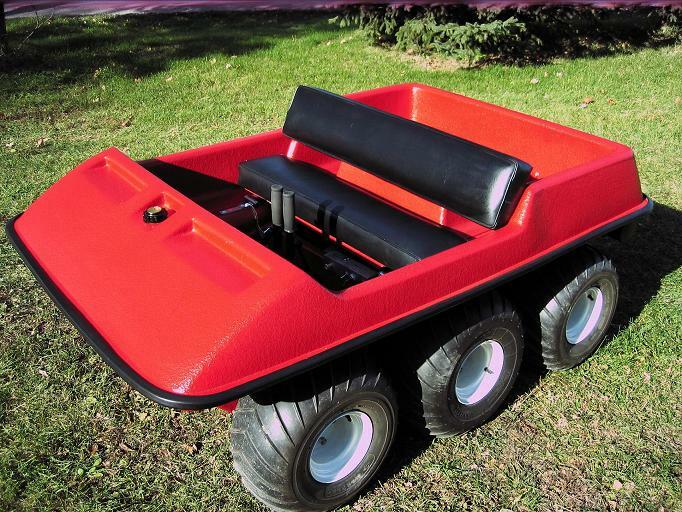 Sadly, the Amphicat ceased production in 1975, so any existing models in working order are probably in short supply. Looks like I will never realise my dream. Nice piece Stu. I did much the same thing on Saturday mornings. Rose early, to watch this fun show. 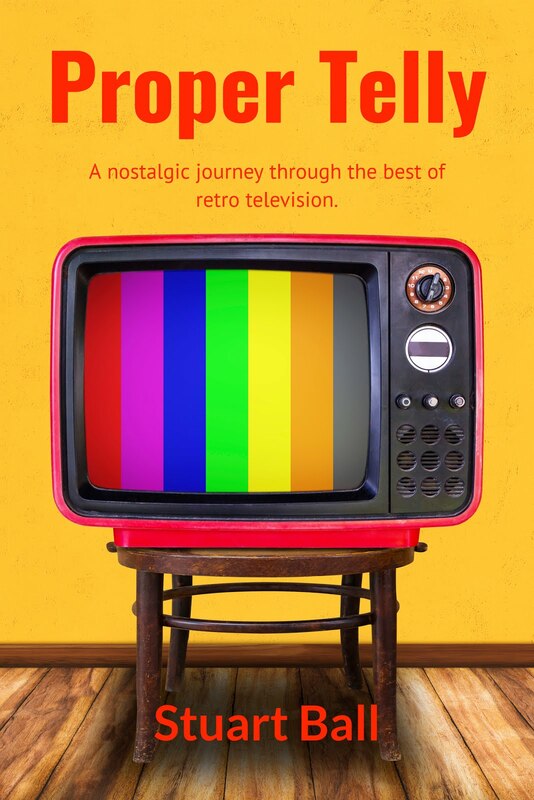 As well as the shows you mentioned, I also recall watching WHITE HORSES and ROBINSON CRUSOE, which both had fabulous theme tunes imo. French productions, dubbed into English I believe, as I think was FLASHING BLADE, with another rip roaring theme. Fond memories of entertaining childrens TV on a Sat morning, as it should be. Thanks Steve. White Horses, now there's a blast from the past! I remember the theme tune well.